Celebrating the life of James I. Farmer, Jr.
Obituary for James I. Farmer, Jr.
James I. 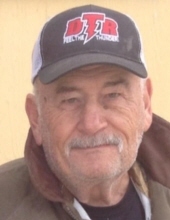 Farmer, Jr., 69, of New Braunfels, passed away on Thursday, November 15, 2018 at his home surrounded by his loving family. Born on October 11, 1949 in Wichita Falls, Texas, he was the son of the late James I. Farmer, Sr. and Veta Fern Giles Farmer. Jimmy loved participating in and promoting drag racing, he didn’t get the nickname five-0 Farmer for nothing. His motto was work hard and play harder and he lived it every day. He loved his family and friends. He always enjoyed having people around, and everyone knew it. He made a living as a salesman and if you had something to sell Jimmy could find someone to buy it. A visitation will take place on Sunday, November 18, 2018 at the Lux Funeral Home Chapel in New Braunfels, TX from 5:00-8:00 p.m. A funeral service will be held on Tuesday, November 20, 2018 at Lighthouse Assembly of God at 2:00 p.m. 5311 College Ave Snyder, TX 79549. Interment will follow at Hillside Memorial Gardens. "Email Address" would like to share the life celebration of James I. Farmer, Jr.. Click on the "link" to go to share a favorite memory or leave a condolence message for the family.